Have you ever been ostracized by others because they didn’t like where you were going? Have you ever been ridiculed, shunned or simply ignored because people didn’t like the spiritual direction in which your life was going? If so, you’re in extremely good company. The Samaritans in this village rejected Jesus for one main reason—religious pride. They were prejudiced against anyone who didn’t believe like them, and their elitist attitude caused them to miss out on a move of God in their lives and in their city. It’s amazing to consider what could have happened in their town had they allowed Jesus to enter. The blind would have received sight, the lame would have walked, various kinds of terrible diseases would have been cured and the Good News would have been preached to many needy souls. But it was not to happen because their religious pride kept Jesus away. They slammed the door in the face of God! We must understand that none of us has the market cornered on truth, although most of us act like we do. Do we start thinking that our crowd has arrived at some exclusive religious plateau and no one outside our group of spiritual elitists can teach us anything? Thus, we’ve shut the door in God’s face. Our religious pride then declares, “I have arrived! There’s no need for me to go where you’re going. I’m already here! See-ya…wouldn’t want to be-ya!! !” SLAM!!! This describes me in years past. Most everyone else was wrong. I was right! My religious pride crippled me. I would only travel within the parameters of my particular denominational point of view. Oh, I had friends that were from other churches (the poor little deceived things), but I was constantly sparking off a debate with them. It wasn’t for the purpose of engaging in a polite exchange of ideas. Oh no! I had to change their minds (the poor little deceived things). I didn’t like where they were going. I had to point out how wrong they were and help them get on the right path. You know… my path. It turns out that I was the poor deceived thing. I was the one who didn’t know how wretched, pitiful, poor, blind and naked I was. The denominational sign on my church had become a STOP sign. I didn’t travel beyond it and ridiculed anyone who dared to do so. Indeed, I was wretched beyond words and didn’t know it. How about you? Do you have a Samaritan heart? 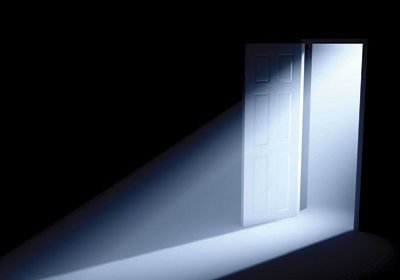 Have you been slamming the door in God’s face? If so, now is the time to repent and get yourself ready for Jesus is coming to your town today. Henry Smith wrote a beautiful song that Don Moen recorded that says, “Give thanks with a grateful heart.” We forget sometimes just how blessed we are in America. God has blessed us beyond any other nation in modern history. This became more apparent to me personally during a trip to Jamaica that was sponsored by Food for the Poor. Part of our tour took us to a landfill where over 7000 people lived in a shantytown under the most impoverished conditions. These unfortunates supported themselves by living off of what others threw away. Families lived in shabby huts made of ten and cardboard. Barefoot Children played among the garbage and broken glass of the refuge of others. When I lay down to sleep that night images of those dear people haunted my mind. I prayed for them as I stared into the darkness. Then I began to give thanks that my family had a decent home and food to eat. I gave thanks that my children lived in a country where opportunity abounds and hope remains alive. I thanked God for America and the freedom that we hold so dear. 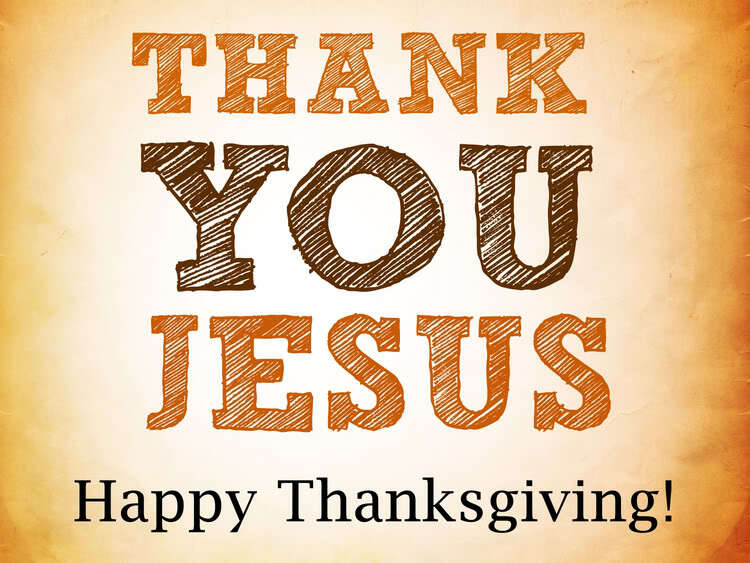 But mostly, I thanked God for His love and goodness to me and my loved ones and for salvation so full and free. As you gather with loved ones this Thanksgiving please consider this. We are blessed with so much in a world where so many have so little. Give thanks with a truly grateful heart—a heart that displays deep appreciation for all God has blessed us with. I understand one’s concern over guarding the inerrancy of the Holy Scripture. I share their concern. That’s one of the reasons that I do word studies from the original Greek and Hebrew when I study The Bible. I often use several different English translations of God’s Word. As you know The Bible was not written in English. In fact, the English language did not even exist 2,000 years ago. So it stands to reason that any Bible you choose to use from the KJV to the NIV is obviously not word for word as accurate as it is in the original language. I’m like the guy who said, “I know a little Greek and a little Hebrew. The little Greek owns a delicatessen and the little Hebrew owns a shoe store.” Tha-dump-dump! I’m not a Greek or Hebrew scholar. Therefore, I must depend on the skill and devotion of those anointed men and women who are. For every Bible known to man was translated by scholars. In fact, there are Bibles throughout the world that’s translated into many different languages. However, it’s important to note that Bibles in other languages were not translated from the KJV, or from any other English translation for that matter. They were translated from the original Greek and Hebrew text. I once felt just as strongly as some of you about the KJV. I would argue passionately with anyone who did not hold my view. I dare say I was more of a KJV proponent then some of you. Anyone who knew me back then can attest to this fact. Consequently, I understand from where you’re coming. However, my attitude started to change over the years when God pointed out two eye-opening truths to me. Number one: I discovered that it was foolish of me to judge the accuracy of the NIV, or any other modern translation, by comparing it to the KJV. 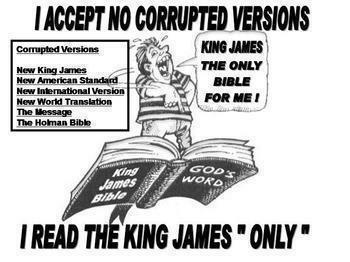 Love it as I did, I had to admit that the KJV is not the ultimate standard—the original text is the standard. So, for me to compare the NIV to the KJV and then say that the NIV was guilty of leaving something out because the KJV had it in was a poor argument. As I said, I am not a Greek or Hebrew scholar; so, how could I know that the King James Version translators didn’t put something in their version that wasn’t in the original text? How could I be so certain, considering that I wasn’t there and I had never examined the Greek and Hebrew documents that those scholars used? As a matter of fact, I wouldn’t be able to read them even if I saw them. Do you see all the holes in that line of reasoning? Number two: My arguments for the KJV really began to unravel one day with this discovery. I was studying my Bible and was reading the words of Jesus as he was quoting from the Old Testament. (Matthew 4:10) “Then saith Jesus unto him, “Get thee hence, Satan: for it is written, Thou shalt worship the Lord thy God, and him only shalt thou serve.” (KJV) However, when I went to the Old Testament reference that Jesus used and read it, I found that this was not exactly what the passage said! The verse Jesus used is in Deuteronomy 6:13 and is worded very differently from what Jesus said. It says. “Thou shalt fear the Lord thy God, and serve him, and shalt swear by his name.” Jesus quoted the verse using the word “worship”—not “fear!” It blew my mind! I researched further and discovered many other examples of variations in New Testament quotes of Old Testaments scriptures. And, there are many others examples like this. I then thought to myself, “Why are these and many other quotes in the New Testament worded differently from the original passage in the Old Testament?” Then I found out about The Septuagint. Please indulge me if you already know about this; the Septuagint was the modern translation (Greek) of the Hebrew Bible that was used by the first century Jews. It was also used by the first Christians, the apostles and by our LORD as well. This intrigued me, considering the fact that Jesus was the Living Word in flesh while he was on the Earth. (John 1:1&14) Wouldn’t the One who was the living embodiment of God’s Word realize that the Greek translation of the writings of Moses and the prophets from Hebrew and Aramaic to Greek was done by men, and these men at times did not exactly get it word for word right? The old expression remains true, “Something gets lost in the translation.” Doesn’t it stand to reason, then, that Jesus would quote it the way it was originally written? In addition, wouldn’t the Holy Spirit also inspire the writers of the New Testament to do the same? The Septuagint was a version of scripture that was presented in what was then the modern language of the day. It was a contemporary version of The Bible. To Jesus the clarity of the message was of greater importance than criticizing the translation. I believe that the scholars who translated the King James Version [which was revised four times, the last being in 1769] felt as Jesus did. They wanted God’s Word to be translated into the language of the day. It was very important to them that the message be clear to their culture. There were over 100 dedicated theologians and Bible scholars involved in giving us the New International Version of God’s WORD. They came from different denominations and their work was endorsed by the National Association of Evangelicals, as well as by leaders from many major denominations. Now, compare this to the scholars who gave us the KJV. They were part of the Church of England; a church that’s anything but evangelical. In fact, it is the daughter of the Catholic Church. However, they worked hard and got the job done. We thank God for what they gave us. When was the King James Translation introduced? 400 years ago! We don’t use Elizabethan English in 21st century America. God’s Word is much too important to leave it in antiquated terms that are no longer in use, or words that have a totally different meaning today then they did in 1611. The writers wrote the words down in the language of the day. Shouldn’t we have Gods WORD in the language of our day? We must update the language and keep God’s Word fresh and readable. We must make sure that the message remains clear. The translators of the KJV understood this. That’s why it went through many revisions before we got the one we all know and love today. I was discussion with a long time friend of mine as to why I choose to use the NIV Bible. He, a KJV-Only proponent, said something that seemed a bit strange as an argument for his side of the issue. “All I need,” he stated, “is a King James Bible and a dictionary.” As I was driving home I thought about what he said. “All I need is a King James Bible and a dictionary.” The more I pondered his words the stranger they seemed. I’m known to have a healthy imagination and a pretty good since of humor. [Thirty plus years as a radio announcer helped me to fine tune my funny side] So this picture played out in my mind. Picture this; The Apostles gathering around Jesus as he taught. While Jesus was speaking, the 12 were passing around a dictionary. The image struck me as very funny, and I began to chuckle to myself. Then another picture began to play on the movie screen of my mind. Jesus was delivering the Sermon on the Mount. Thousands people began to break out their dictionaries and start looking up words that Jesus was using because they couldn’t understand him. My giggles then turned into full-blown laughter. I thought to myself about the lengths one will go to in order to hang on to their old wineskins. You see, the original KJV 1611 is not the same one we know today. The beloved KJV we use is the 1850 revision. Hundreds of changes took place from 1611 and 1850. In fact, “More than 400 errors in the first edition of the KJV were corrected in a subsequent edition two years later.” (How We Got the Bible- by Neil Lightfoot) Over the years devoted scholars have updated, and at times even corrected the KJV, and it has come to us in the form it is today. The latest revision is the New King James Version. I hope this has been helpful. As I said, I mean no offense or disrespect to anyone who prefers the KJV. In addition, I mean no offense to the KJV Bible. I grew up with it and loved it. It’s a beautiful and beloved work of art. It has been used mightily over the years; then again, so has the NIV and many or the other wonderful translations as well. After all, they’re each a translation of the Word of God that was designed to speak to their peculiar generation.